To all the people out there who never get the sport I play, this one is for you. “Roller Skating” commonly known as “Speed Skating” has always been a very popular sport in our country. Not only is it a very competitive sport but is also a very thrilling and an entertaining game. But that’s not the only roller game, the disciplines of “Roller Sports” in our country are broadly classified as Speed, Roller & Inline Hockey and Artistic Skating. A Roller Hockey player that I am, this article is majorly going to be about it. Starting from the wheels we roll on, to the smiles on the players faces after hitting a goal, the fundamentally Roller Skating oriented group FEDERATION INTERNATIONAL de ROLLER SKATING (FIRS) has given recognition to the land we step onto and the nation’s flag that soars high after every victory of every talented player by providing an opportunity to all nations worldwide to play the incredible Roller Sport. 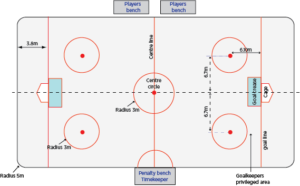 Roller Hockey is very similar to Ice Hockey in terms of rules, the major difference being it is played on Skating Rink. Each team occupies half of the rink, with 5 players – (2 forwards, 1 centre-forward, 1 defender, 1 goalkeeper). The goalie protects the goal post while defenders put in their best efforts to stop the ball entering into their side, the centre-forward player supports the forwards to enter into the opposing team’s side and hit a goal. 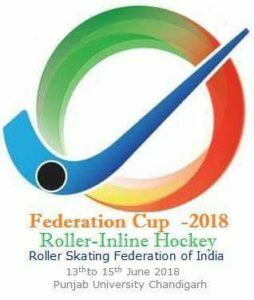 An International organization to conduct Roller Hockey events that it is, FIRS has also spread its wings in India by according affiliation to RSFI (Roller Skating Federation of India). 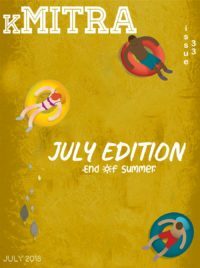 To help this sport gain popularity, the Federation has been conducting various events annually. 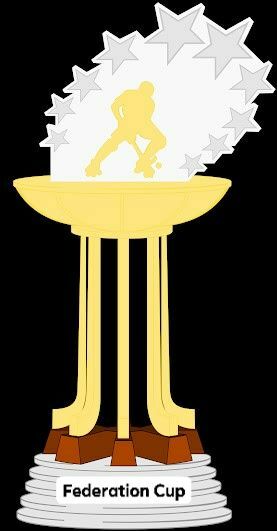 One such event this year was the “Federation Cup”. 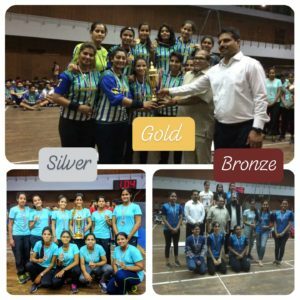 In the middle of the summer season with almost a rough plan, the national bronze medal-winning Telangana’s Senior Girls Roller Hockey Team decided to take up the new challenge and despite the scorching summer heat and dust storms, we headed to Chandigarh. 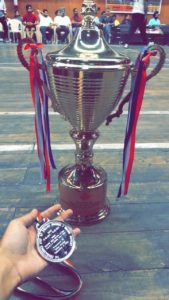 The effort we put in for practice, the time we spent together planning and bonding, all paid off well at the end, we fought hard and bagged the runners-up trophy of the first ever Federation cup. The competition was held for the first time in India, it involved only two categories – Senior Women and Senior Men. In the Senior Men category, Haryana stood first, Chandigarh second and Uttar Pradesh third. In the Senior Women category, Haryana stood first, Telangana second and Chandigarh third. We were the only team from Telangana which got qualified for this championship, owing to which the state federation was hesitant to let us participate. As rebellious hockey players, we managed to convince them and very happy that we made them proud by winning laurels for the state. Haryana is a very skilled team, we may be competitors but we do bond well and I absolutely adore their game. They have been consistently at the top for years now and also form 90% of the Asian Team. We hope to set standards like them soon. In the other championships, we have always seen other teams as just competition but this time it was different. 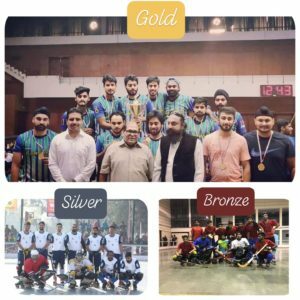 With just two categories, all the teams across India spend a lot of time together and bonded over the one and only reason: love for our sport Roller Hockey.